Earlier this year, I brought home some plants from a local nursery, which I regularly visit. Among these plants was one Dahlia plant, I had planted for the first time. 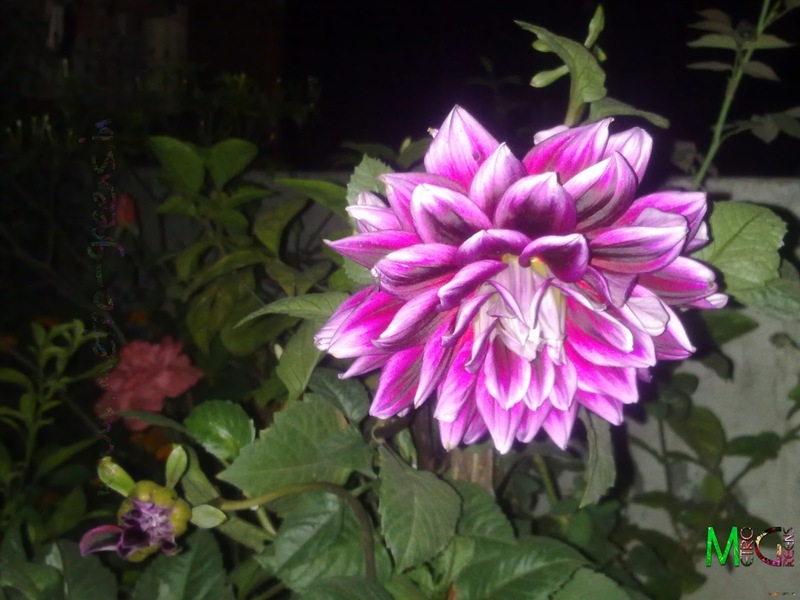 Though, I've been gardening for quite some time now, this was the first time, I had planted a Dahlia plant. The Nursery owner, who himself was unaware of the colour of the flowers this particular plant was to bear, wasn't able to give me a clue about the colour, hence, it was again an unbearably long wait. A few weeks ago, I was able to see some buds in the plant. It again took around ten days for the bud to grow up sufficiently and then another week to completely bloom up. I finally got a purple coloured Dahlia flower, after more than two and a half months of wait. But, then, my wait finally has been paid by the beautiful flower. 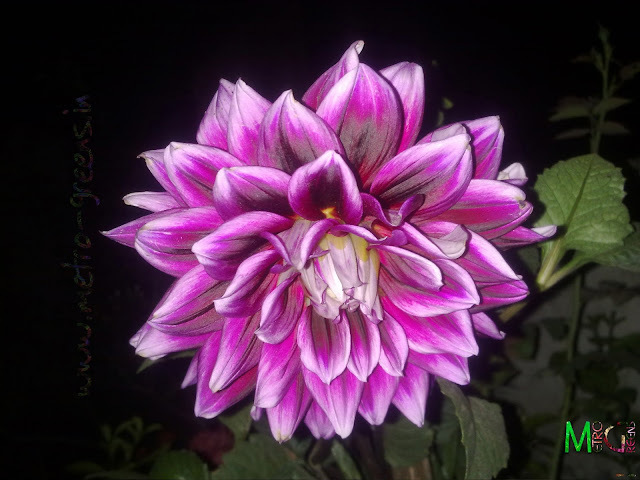 Here are a few snaps of that flower. Since this was for the first time that I have planted a Dahlia, I didn't knew that it needs support, to keep it standing upright, but, lately, I understood that and used a dried sugarcane to support my Dahlia plant. 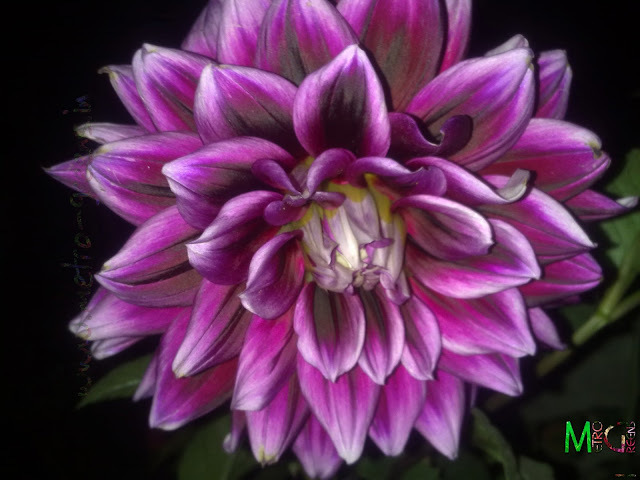 This flower looks awesome in looks, but, for sure, it takes about close to a week for a bud to completely open up into a flower, but, it's also a fact that the flower stays for long. Look at the velvety texture of the flower that's shining in some of the petals. So, I must say that the flowers are worth the wait. Thanks for visiting my blog Debopam, and thanks for your comment. Thanks a lot for taking time to visit my blog and commenting, aliasgarmukhtiar mukhtiar.